I should have added that if there ever WAS a major discharge event between the environs of Lake Tuz, Turkey and Lake Victoria in East Africa, it would not be beyond reason to expect there to be evidence of some sort of direct connection between the two. And if the direct connection was (as postulated) an electrical one - and most likely taking place within a charged plasma - then one would be on firm ground in stipulating that since Birkeland Currents spin, the connection’s structure would have been helical in 3D. Thus, were one to accept as given that the connection was helical and 3D in structure, and furthermore had the power to blast a channel path through the intervening terrain, then one would look for evidence of a sinusoidal ground path (that being a ground-plane cross-section of a 3D helical path) pointing directly from one terminus to the other. And one would find the Nile River. * Dennis Cox has reported on a major crater field in W Texas and New Mexico. He says major players have gotten involved and are on the verge of discovering the EU connection to crater formation. Many of the craters have melted material on the floors and structures that appear to be electrically formed. He urges EU enthusiasts to start checking out the craters and report findings. If possible, get samples, photographs and any other data collection and post some on the net and send the rest to appropriate scientists. * Does anyone volunteer for an expedition? Since he's been the head of the Isotopes project at Laurence Berkeley National Lab. for years now, is a very well respected, physics Professor at UC Berkeley, and will hold both posts until he retires later this year, somehow I don't think it's appropriate to dismiss Rick Firestone so quickly as merely an insignificant Velikovski wannabe. EU theorists are fixing to miss a very important opportunity to be the first to get examples of the kind of electric cratering we've seen in Zane's CRT experiments into refereed literature. There is some revolutionary, paradigm shifting, science going on right now regarding the YD impact hypothesis. Most of it is changing so fast that the book, and paper that started it all is already getting out dated as a reference. That hypothesis has come a long way since Rick Firestone, and his friends published The Cycle of Cosmic Catastrophes, in the popular press, and that paper in PNAS. For a long time there was much debate about whether the nano-diamonds were really in the Younger Dryas boundary layer. And then in the Journal of Glaciology, Andrei Kurbatov et al reported The discovery of a Nanodiamond rich layer in the Greenland Ice sheet . And that corresponds to the YDB. That settled that part of the debate. Extraterrestrial nanodiamonds do indeed exist in the YDB. And they are scattered all over the northern hemisphere, with the highest concentrations to be found so far in North America. Something catastrophic, and exogenic, happened all right. But what the hell was it? The rallying cry of opponents to the theory became "where's the crater?" And Mark Boslough, an impact physicist at Sandia Labs pointed out the very extreme improbability of a four mile wide asteroid in an Earth crossing orbit, and the physical impossibility of such a large object having enough time in the atmosphere to break up completely, and scatter fragments over a continent sized area without making a crater. But, At the time of publication the YDB team were not working from a valid, well thought out, astronomical model. And speculation as to the exact nature of the visitor was all over the map. And then, back in March 2010, Bill Napier published Paleolithic extinctions, and the Taurid Complex. Every one of Mark's very valid considerations are answered in that paper. In that paper Bill Napier points out that the fragmentation of comets is now a well recognized path to their destruction. And that the Earth crossing through the debris streams, of a highly fragmented daughter of the Taurid Complex like comets SW-3, or Linear, Is a far more plausible impact scenario th[a]n the impact of a single large bolide. As it stands now, the YD impact hypothesis, and the impact storms, and planetary scarring of the debris streams of the heavily fragmented Taurid Progenitor should be thought of as one [one and the same]. If you can describe a beast, you can predict, and recognize, its footprints. And it turns out there is a huge variety of types [of] impact structures. 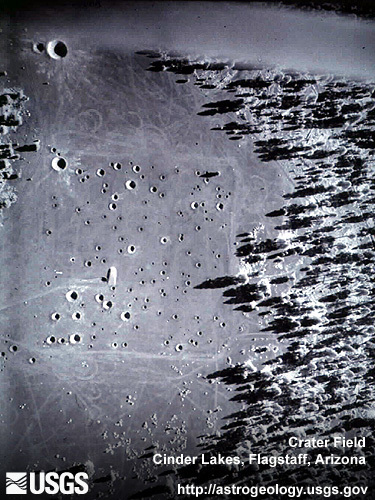 Ranging from large geo-ablative airburst structures, to thousands of small craters, and some of everything in between. As well as evidence of a huge variety of chemical composition[s] from one fragment to the next. Structurally speaking, the thing was already a loose rubble pile before it got anywhere near the Earth. Mark Boslough is doing some amazing supercomputer simulations of airburst phenomena at Sandia Labs. And Horton Newsom, at UNM's meteoritics lab is working closely with him on the predicted chemical markers, and isotope mixes, of the airburst melts. The amazing thing is that, while it may seem that Dr Boslough might be a staunch opponent of the YD impact hypothesis, the same planetary scarring that validates his work, also validates the fragmented nature of the Taurid progenitor. Professor Napier puts the estimate of the total tonnage of all the fragments at something like 1.1 billion tons. That's more than enough violence to account for the megafaunal extinctions, and materials in the Younger Dryas boundary layer. So their work all converges on the same truth. Anyone here know what a pyroclastic flow looks like after the collapse of an ash column from an explosive eruption, as it goes thundering down the flanks of a volcano? That's what's known in fluid mechanics as a pyroclastic density current. While in motion, the fragments, and particles, of superheated rock, are in atmospheric suspension. The motive force in that model is gravity. When it comes to rest you get volcanic 'Tuff'. Please note that impact melt is often mistaken for volcanic tuff. Their similar appearance, and structure, is due to the fact that in both cases, the material was emplaced suddenly, and explosively, while in a high velocity, atmospheric suspension called a density current. All mass movement on Earth requires a motive force, especially [does] a pyroclastic density current. Imagine a giant pyroclastic density current of particles, and fragments, of flash melted stone. But with the ablated surface as the source material. With high velocity atmospheric pressure as the motive force, not gravity. And with an exogenic heat source. Imagine a sandstorm with hyper-thermal winds, gusting to supersonic. What we are learning about airbursts is that we can scale the Tunguska event up to a fragment as much a half mile wide, and we still get an airburst. But this one reaches the ground. And it does so in a downwards moving explosion as a supersonic shockwave miles wide, and hotter than the surface of the sun. Such a blast is capable of major ablation, and mass movement, at the surface. And without making a crater. Or even a symmetrical scar. But there's more, and this is where we bring EU into the picture. The simulations we've seen so far have all been done with a single bolide. What do you think we'll see if [we] run Mark's simulations with multiple fragments? (Using comets Linear and SW-3 as examples of typical fragment size and density) Those simulation show us that a typical airburst that reach[es] the ground can translate 100% of it's kinetic energy into heat in the atmosphere. So that it does not hit the ground as a solid object. In fact, there should be a certain size where nothing is left of it by the time the shockwave hits the ground, but a long, thin plume of impact plasma that's hot enough to provide a superconducting conduit between the surface and the ionosphere. An airburst like that can do some major ablative damage to the ground. And for EU theorists to consider, there is a very real possibility that the resulting electric discharge produces an explosion at the surface that excavates an ejecta curtain similar to what we see in a ballistic/kinetic crater. But the morphology in the crater's central depression is completely different. In addition to the more extreme geo-ablative airburst effects that can be identified all over the southwest, there are thousands of small craters in New Mexico and West Texas with a central depression averaging about 100 meters diameter. Besides the raised rims and ejecta curtains, they don't have shocked grains, or other normal crater morphology. And the Boslough simulations can probably account for all of them simply as a type of small airburst crater. But EU theorists might note that the morphology of those things is also a perfect match for the kind of electric arc craters we've all seen in the videos of CRT electric cratering experiments. We have a very good astronomical model that can account for how an airbursting fragment might produce a superconducting short circuit between the ionosphere and the surface. Can we describe the mass movements, and motive forces, during the evolution of an electric crater well enough to scale it up to a 100 meter crater? All I've know[n] of the process of electric crater formation is the visual impression you get from watching those videos. Has anyone done any math to describe the thermodynamics, fluid mechanics, and mass movements, of the blast effected materials in, and around, an electric arc crater? And if you have, how does that model look when you scale it up to a 100 meter wide crater? We've identified a few thousand of them. * This seems to be Dennis's website, which has a lot of images and a long article: http://craterhunter.wordpress.com. * Here's one of the images on the site. The location is 32.404582, -103.402431 on Google Maps. Those parallel ridges must have formed at the same time the craters did. There are similar looking ridges in the Sahara Desert and the Greenland Icecap, but I haven't noticed craters there. * I found this image on the net from near Flagstaff, AZ. Guilty as charged, If you think that formation is interesting from that altitude, in Google Earth, zoom in close, and count the crater Chains. The formation extends to the north, northeast for many miles into the Oil fields. You can recognize the Oilfields by their road grids, and the numerous rectangular clearings in the grids of about an acre. On the ground, each of those rectangle clearings has an oil well pump on it. So it's like looking across a sea of giant grasshoppers. Down at the Local Legend section we find this..
"As per Skanda Purana, a demon named Lonasur who lived in a subterranean abode used to devastate the surrounding country and even challenge Gods. Lord Vishnu, on an appeal by the people of the region, assumed the form of a handsome youth named Daitya-sudan, charmed the giant's two sisters and discovered the giant's abode and then removed the lid of the den where he was hiding and destroyed the giant." That doesn't sound like a meteor impact to me.. Here is a view from above.. notice the whole area.. But do we trust local legend, and myth? Or modern science? That's a well studied Pleistocene impact crater in India. And that 'local legend' doesn't have anything to do with the thousands of small craters in New Mexico, and west Texas. And somehow I doubt that Lord Vishnu also visited the american southwest. If the Younger Dryas events are the same events described in Worlds in Collision then i agree with Dennis. The dates don't matter. If the Younger Dryas events happened thousands of years earlier, then the events described in World in Collision would cover everything that came before. The details supplied in WiC of a worldwide event caused by a giant comet [probably Venus] having an extended electric encounter with Earth are vivid. There would be consequences. Mountains grew thousands of feet in a duning process. Valleys were filled with the runoff from the mountains with miles of sediment. Blowing dust and sand would do this. Anything from thousands of years earlier would be covered, IMO. The details of this process were worked out hundreds of years earlier than Clube and Napier, by Abraham Rockenbach, and then fine tuned by Dr. Velikovsky. Dr. V's work has been scrutinized by many and has held up well, IMO. The dates of the events will never be settled. The details of the events are described poetically in WiC. To not take the descriptions provided in WiC into account when looking at the surface of the Earth seems limiting. DragonHunter wrote: But do we trust local legend, and myth? Or modern science? That's a well studied Pleistocene impact crater in India. And that 'local legend' doesn't have anything to do with the thousands of small craters in New Mexico, and west Texas. TRUST modern science? You're on the wrong forum DragonHunter. Have you looked around? Modern science ignores the electrical connection to the universe. Why should we trust them with anything? I'm suggesting that they are wrong. Given the terrain within a 10-20 mile radius I don't think its REDICULOUS to suggest that it might not have been formed by an IMPACT of a meteor. DragonHunter wrote: And somehow I doubt that Lord Vishnu also visited the american southwest. Given you're understanding of what or who Lord Vishnu is, I would doubt that you could say that with 100% certainty. If you don't have an intimate understanding of Vedic Literature then you can't really comment on the quality of local legend and myth of India. Vishnu is described as the All-Pervading essence of all beings, the master of—and beyond—the past, present and future, the creator and destroyer of all existences, one who supports, sustains and governs the Universe and originates and develops all elements within. In Vedantic literature everything is given a Personality, not because they are barbarous idiots, but because they address the energy of the universe as personal. Vishnu is simply the name given to the all pervading essence of all beings and the sustainer of the universe. When you recognize the fact that they are calling the ENERGETIC by the name Vishnu, then it stops becoming an idea of Mythological Gods battling demons and rather an idea of natural forces being given a story and a name, glorifying the Energetic source that possibly saved local inhabitants from their troublesome problem. I am only interested in participating in this discussion if we are going to stay on topic, and discuss current paradigm shifts, and advances in impact science. Specifically, the opportunity to advance EU theory by identifying, and studying, potential electric crater geomorphology in the American Southwest. Regarding Lord Vishnu; I do not participate in religious discussions online. So if this is going to degenerate into an invalidation of modern scientific method, in favor of mythology, and a religious discussion on the merits of Vedic philosophy, and literature, I'm not interested. But it is non sequitur to connect Vedic Legends about a specific, well studied, Pleistocene impact structure in India. To completely different geomorphology half a world away, in the American southwest. And for the record: While I am a passionate supporter of Electric Universe theory, I am not a believer in the WIC, or 'Saturnian' astronomical model. So I will also not participate in public discussions on Velikovsky, or Saturn theory. * Folks get too hung up on words. We need to be somewhat flexible with words like "impact". Impacts don't necessarily mean physical impacts. They can also mean electrical impacts. Dennis was mentioning impacts that involve airbursts, meaning a body disintegrates in the air, in which an ion trail forms from the ionosphere to the ground, making an electrical connection to ground, meaning something like lightning and its effects. See TPODs on the Tunguska event, which describe that event in a similar way, where EU theorists propose that a large Taurid meteor stream meteor caused the airburst and "lightning" impact in Siberia. * Dennis, what would you say is the bottom line for this thread? Would you like to see forum members go and collect evidence on site? Or would you prefer that we communicate with some of the researchers and make suggestions to them? We probably have quite a few members not far from there who could go to the area and collect evidence. If we persist at making such a request, we're likely to get a few volunteers before long. If you have relatives there, could you ask them to help out? What kind of evidence should people look for? * Have you noticed how the rows of channels at the NM site resemble rows of material in the Sahara and Greenland? I think there may also be rows of material with craters somewhat similar to the NM site in south Africa. * By the way, Dennis, do you think the craters in the 2nd image I posted above in the Flagstaff area are "impact" craters, or volcanic? They look like "impact" craters to me offhand. Map of Nanodiamond Sites in the U.S. Some history of the YD nanodiamond debate and interesting image of Carolina bays etc. Even if I had unlimited funds, I could never hope to visit, and study them all. There are too many, and life's too short. It's my hope to get as many intelligent, curious, critically minded, EU thinking, people as possible to visit as many of them as possible. But leave uniformitarian/gradualist assumptive reasoning behind when they do. I'm not expecting anyone to go there with the intention of finding all the answers. I am hoping they will go there with the intention of finding good hard questions. I am a proponent of curiosity-driven science. The whole 'Uniformitarian - Catastrophist' debate isn't so much a philosophical issue with me, as an objection to the tendency by many geologists to assume that all geomorphology must be the result of slow, and gradual processes we have witnessed in “recorded” history. And that large scale catastrophic, and sometimes exogenic, geomorphology does not happen at all. Or is at best, ‘highly unlikely’. So it’s a thought process that I've been calling ‘Mutual inter-assumptive confabulation’ that gets used in lieu of real science, because an old paradigm has gone unquestioned for so long that it has taken the weight of empirical fact, that I have a problem with, not some philosophy called “Uniformitarianism”. And you are right about the Cosmic Tusk. I've been a regular there for a long time now. George Howard is the owner of the 'Tusk". And he's one of the original authors of the 2007 paper by R. B. Firestone et al. That paper was the first to express the Younger Dryas impact hypothesis in refereed literature. And George maintains a very comprehension library of current papers, from scientists on both side of the debate, and from many different disciplines. As for your other question, The Cinder Lake crater field, near Flagstaff, is an artificial, man-made structure. It was made in the 1960's by the Astrogeology branch of the USGS as a training ground for NASA's astronauts, in preparation for the moon missions. They used an assortment of different sized explosive charges to simulate the crater distribution we see in a similar sized area on the moon. And the timing of the explosions allowed them to get the overlapping ejecta curtains right. They look pretty darn good, don't they? Between Albuquerque, and Odessa Texas, there are literally too many of them to count. So that if someone in that region wants to help, a custom list of GPS's could be made that are all within easy day-trip driving distance. These things aren't on the 'confirmed' impact structure list. But the meteorite hunting community has been rumoring them up as happy hunting grounds for a while now. And there is another kind of structure that's coming to light. Pierson Barreto lives in in Brazil. And he's been talking about some structures that he's been calling "Palaeolagoons" for a little over a year now. His blog is called Cosmopier ( http://sites.google.com/site/cosmopier ). English isn't his mother tongue. And his English grammar, and spelling, could use a good English speaking editor. But he's doing a great job. He's been able to identify those Palaeolagoons in large numbers all over the world. There are many of them in New Mexico. I've cataloged a few hundred of them myself. And with the recognition in peer reviewed literature that we should expect to see many different kinds of impact structures, and that a cluster impact event from the Earth encountering the debris of a fragmented comet from the Taurid complex is a far more likely catastrophic impact scenario than a single lone bolide from the asteroid belt, (Bill Napier, 2010) we're not just looking for plain ole round craters anymore. There is an opportunity looming to put electric cratering on any new list that immerges. So far, the thinking is that the Palaeolagoons are most likely another form of air burst crater. At least, the morphology is a perfect match for some of Mark Boslough's simulations. But it seems to me that any high velocity airburst that's big enough to reach the ground, and do significant geo-ablative morphology like that, is also big enough, and hot enough, that we can probably expect that, for a few seconds, the atmosphere back along it's entry path might remain hot enough to be a superconducting plasma. And to provide a 'short-circuit' between the ionosphere and the surface. Imagine along with me for a minute. As I understand it, EU theory predicts that no matter what the chemistry is, those fragments should each also be carrying one hell of a charge differential of their own, in addition to any kinetic, or chemical energy they might be packing. My math tool stinks. How much electrical potential are we talking about there? There are many more questions that are crying for an answer. Has anyone done any of the CRT experiments in front of a high speed camera? It's hard to work out the mass movements of the blast effected materials when it's over in a zap-twinkle. And, like magic, you are looking at a perfect little crater. I want to dissect the process. I wish I could see an electric crater evolve slowly, in the infra-red, as well as the visible spectrum, and over a few hundred, or even a thousand, frames. We all agree that an electric arc makes the crater, complete with a cute little ejecta curtain, we see it happen. But exactly which forces are at work to produce the mass movements? Can we quantify them? Is the explosive excavation simply the work of a sudden increase in atmospheric pressure as material at the target is vaporized? What kind magnetic fields are involved. Does a pinch effect play a role? If so, what is it? * Someone made this interesting statement today. If a very powerful electric discharge terminated with an exploding Z pinch at the surface, would it produce a dumbbell shaped explosion? And perhaps a lobed, or butterfly shaped pattern in the ejecta? If so, I can show you a few hundred 'Electric Craters'. * I'm pretty sure he was referring to the SW crater field/s.